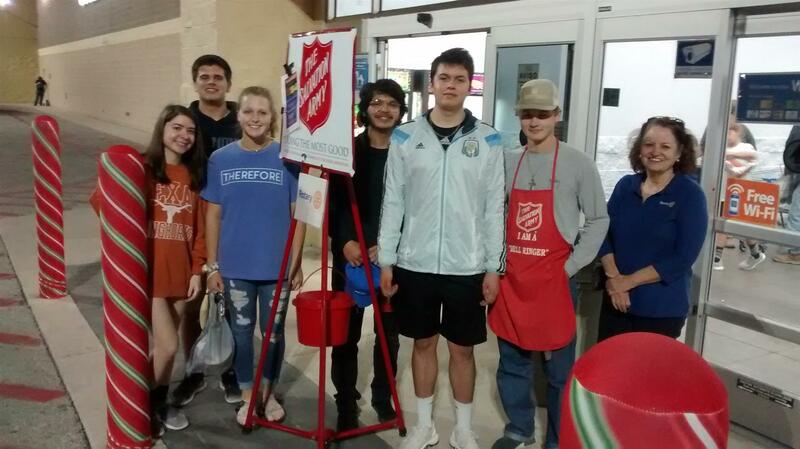 The Rotary Club of Taylor assisted in “ringing the bell” for the Salvation Army on Thursday, November 29 as part of our regular club activities. We rang from 8:00 AM to 8:00 PM. We have been doing this community service for many years. However, what made this year special was the participation of our Interact Club under the direction of Dr. Barbara Benson. Eleven students from Taylor ISD, joined with Rotarians from 4:15 to 7:15 PM.